On Highway 7, nestled between the beautiful Fraser River and the picturesque Golden Ears Mountains, you will find the remarkable City of Maple Ridge. Maple Ridge sits in northeastern Metro Vancouver and is only ten minutes north of the Trans Canada Highway. This spectacular location affords residents quick and convenient access to Vancouver, the rest of the Fraser Valley and British Columbia Interior. Neighboured by Mission, Langley and Pitt Meadows, the city has never been more accessible and has benefited greatly by improved bridge connections to the Fraser Valley and Metro Vancouver. In addition to all of that, Maple Ridge is less than one hour from the Abbotsford International Airport and the Vancouver International Airport. Buy a home in Maple Ridge and you too can enjoy its seemingly endless list of truly remarkable amenities. Opportunities for outdoor recreation abound and most homes in the community are within fifteen minutes or less of trails, parks and pedestrian friendly dykes. Maple Ridge also serves as the gateway to Golden Ears Provincial Park and is an extraordinary blend of rural and urban life. Furthermore, this phenomenal city has excellent schools and top-notch medical facilities that make it a great choice for families with young children, retirees and everyone in between. Albion, North Maple Ridge, Northeast, Northwest, East Central, Silver Valley, Websters Corner, Thornhill, Southwest, West Central, Whonnock and Cottonwood are all great places to buy a home in Maple Ridge. Cottonwood is a neighbourhood offering a delightful blend of multi-family homes and single family homes of varying ages, sizes and architectural styles. Cottonwood is just minutes from downtown Maple Ridge and is bordered by Dewdney Trunk Road on the north, 240th Street on the east, Kanaka Creek Road on the south and 232nd Street on the west. Those who call Cottonwood home enjoy relatively large yards and picturesque tree-lined streets. In this charming area there are both mid-century homes and newer, larger, modern homes as well. 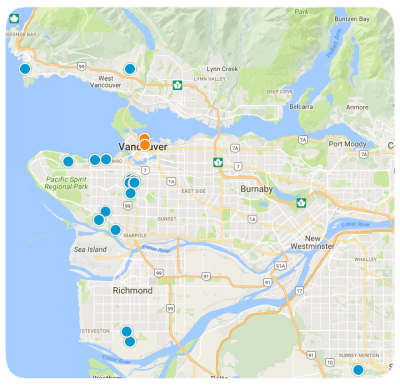 For all of these reasons and more, this neighbourhood is an increasingly popular destination of prospective homebuyers relocating in Metro Vancouver. If you would like to buy a home in the growing neighbourhood of Cottonwood in Maple Ridge, please allow us to assist you and contact us today.